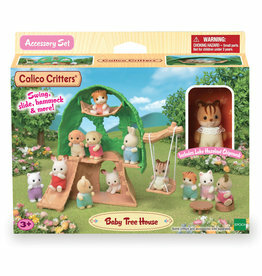 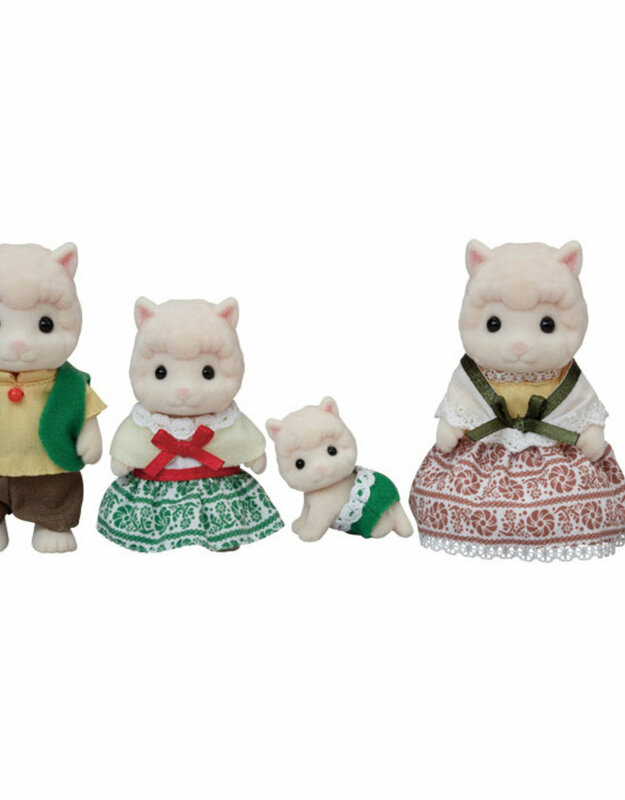 Calico Critters Woolly Alpaca Family CC1803 comes with four posable figures. 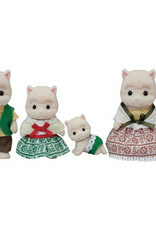 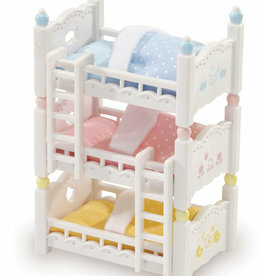 The family figures include a dad, a mom, a sister, and baby. 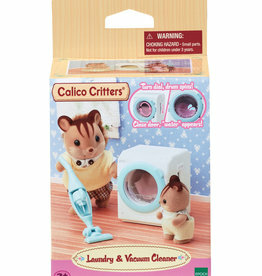 The critters clothes are fabric and removable.